Terawatt is a patent-pending, renewable energy blockchain startup, with a strong focus on monetization and driving global L.E.D. adoption. Terawatt will create a DAO, and also a deflationary Ethereum-based, private (zk-SNARKS) currency for global payments. The DAO will be funded and used by Utility Companies, L.E.D. Sellers, Businesses, token holders, and energy customers worldwide. The DAO will act as a decentralized global mutual/insurance fund to ensure Utilities (and businesses) always have access to funding (which constantly runs out) for subsidizing L.E.D. sales to their energy customers (or for businesses upgrading to L.E.D.s). Total Supply: 100 Million Tokens. Circulating Supply: 65 million (supply will decrease exponentially in an s-curve to as low as 1 million tokens over time). This is due to our continuous coin burning algorithm. Terawatt will automatically use 50-75% of company profits earned from DAO entry/exit fees, and other to buy back and burn tokens daily. USA, China, North Korea, Syria, Iran, Iraq, Belize. Leverage blockchain technology to help reduce global lighting electricity consumption 50 percent (roughly 2000 Terawatts) by 2035, while also increasing light output by 50 percent. Terawatt will also create a deflationary currency to compete with FIAT and digital alternatives like Bitcoin. Terawatt aims to tackle other renewable sectors like Solar, Wind, Electric Vehicles after proof of concept is achieved with L.E.D.s. Terawatt will create a Decentralized Autonomous Organization (DAO), and also create a highly deflationary Ethereum based currency for global payments. The DAO will be funded and used by Utility Companies, L.E.D. Sellers, Businesses, Token Holders, and Energy Customers worldwide. The DAO will act as a decentralized global mutual/insurance fund to ensure Utilities (and businesses) always have access to funding (which constantly runs out) for subsidizing L.E.D. sales to their energy customers (or for businesses upgrading to L.E.D.s). This is a major benefit to utility companies as they want 100 percent of their customers to have energy efficient lights due to progressive grid overload, which forces power companies to build (and maintain) expensive (Hundreds of millions of dollars) power plants to meet demand. They are also mandated by government agencies (i.e. 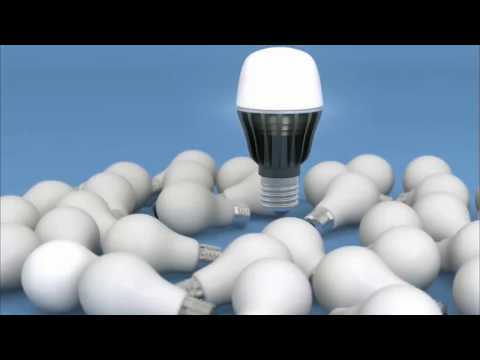 US Department of Energy and US Environmental Protection Agency) to increase L.E.D. adoption in their respective markets. Businesses want L.E.D.s because they reduce electricity bills, increase light output, reduce maintenance costs, and qualify them for tax incentives. The upfront cost was the issue, but Terawatt will help overcome this. The Terawatt Token will also be used as a currency similar to ETH at any business or utility company that will accept it as method of payment. DAO members with businesses will want to accept Terawatt tokens as payment because they will gain increased voting/staking power in the DAO, and because it's much more deflationary than FIAT or other cryptocurrencies due to continual coin burning structure, which equals potentially increased profitability. The power companies, and other token holders, will buy into the DAO with our tokens, we’ll charge a fee for entering and exiting, and when they sell their position, we take a percentage of their profits (like a mutual fund or an exchange does). We will take 50-75% of these profits to buyback and burn our own tokens daily (per transaction depending). With Terawatt, all people and businesses can have uninterrupted access to inexpensive/free L.E.D.s which substantially decreases their purchasing costs, electricity bills, increases global lighting efficiency, and in turn reduces global greenhouse emissions. The (LED) token will may or may not exponentially increase in value as more power companies (and buyers/energy customers/other companies) realize the advantages of using our tokens and of joining the DAO (Metcalfe’s Law), thereby increasing demand while also decreasing supply. Through DAO utilization, key partnerships (We are actively pursuing collaborations and partnerships with utility companies globally), deflationary supply, token incentives, and voracious marketing, Terawatt aims to help put L.E.D.s in all commercial, industrial (street lights), government and residential buildings/facilities worldwide and efficiently increase the changeover from less efficient Incandescent, Metal Halide (MH), High Pressure Sodium (HPS), and Compact Fluorescent Lighting (CFL) to 100% L.E.D. lighting (Light Emitting Diode). Token holders will also be able to find and utilize applicable instant tax rebates, search for tax credits, and then securely store this purchase data on the network for later use in filing their taxes. Participants can buy, sell, stake with masternodes (when available), vote, donate, or hold (LED) tokens, which will power the Terawatt Ecosystem. The whitepaper is quite sloppy. Almost half of it is about general market trends and use cases. No competitive analysis with other ICOs and/or "FIAT" solutions, no business planning scenarios. Unfortunately I do not believe in the project. First, why blockchain is here? Secondly, the team consists mainly of advisors who are involved in other projects. Can't recommend for investment. I dont believe in you: investor, minor, ico marketing, sounds like unemployed perhaps? Here is why we need blockchain, if you bothered to read the whitepaper (I know you didn't). -We need complex smart contracts to power the D.A.O. -Incentive - The Terawatt Token/Currency acts as a reward for each L.E.D. user pays a small token fee to access the records again. Very interesting project that seems fairly unique. The team and vision are strong but the mainnet launch is on the roadmap. Look forward to seeing mainnet and potential adoption of this. Thank you for that. The prototype is under construction and we plan on having a working product prior to ICO completion. We will probably be way ahead of schedule with the main-net launch. Terawatt is an interesting project with a unique vision. The platform needs to work on their whitepaper as the implementation of blockchain technology seems unnecessary. The team advisors are involved in various projects, which might help them make educated decisions. The team will need to focus their efforts on marketing and advertising to make this project a success. Waiting for the MVP. My personal hunch doesn't say very good things about this one. How is it not feasible? People around the world can buy our tokens, join the DAO, make money, and then use that profit to buy LEDs. Very simple and is not limited to any specific geographic region. All someone needs is an internet connection and a few dollars. Seems very feasible to me, especially considering we have the largest contributor to the Ethereum DAO currently building our product. MVP is being built and will be ready within a week. Thanks for the hype, yes have a bounty like most ICOs, but ours was posted by a staff member at bitcointalk, very positive! You say whitepaper doesn't load and my linkedin link doesn't work, but they work fine for me, perhaps you should clear your cache, or upgrade to a faster computer. No offense, but my personal hunch doesn't say very good things about you as a "blockchain expert"
Product seems to be interesting and unique, team also has some good experience in the tech. Let's see their product to check their work quality. Product is going to face very big challenges in many countries. Thank you for your review. The DAO MVP is almost finished, we will definitely upload everything soon for the community to see. Also, we are prepared to face and overcome any challenges going forward. Success is the only option!